Thanks to Rich, Michelle and the kids for taking such amazing pictures of our new Steffan’s sunglasses! Bright, Colorful and eye catching! 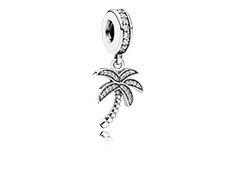 The new 2015 summer collection for Pandora is a huge hit! whether you just collect beads for your bracelet or you wear the whole line! The new collection is perfect for anytime and any season, the colors match whatever you choose to WEAR and are the perfect ACCESSORY. 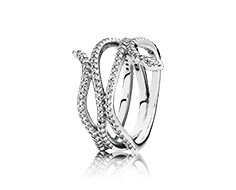 our customers are always intrigued with what new styles Pandora decides to come up with. The meaning of a solitary arrow represents defense and protection from harm. 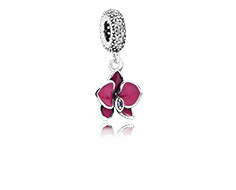 It can also be used as a symbol of movement or direction or love. I think it is so interesting that something that isn’t a heart could symbolize love, how unique! 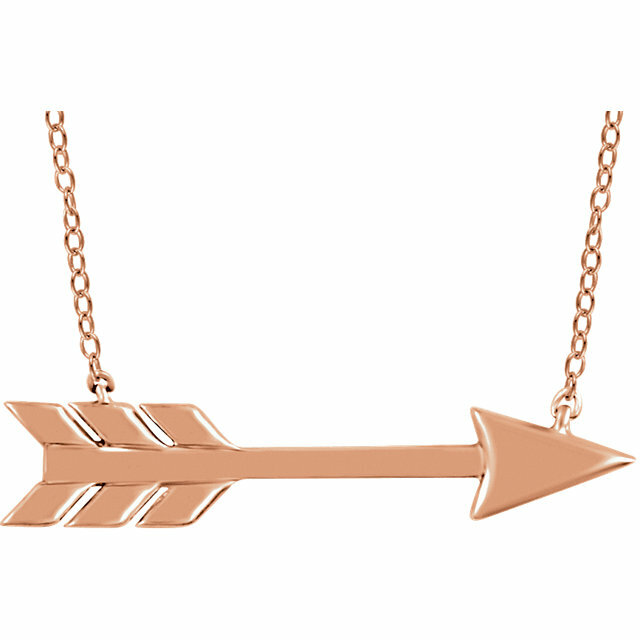 These simple arrow designs have everyone talking. I have been seeing arrow EVERYTHING lately and i am very happy about it! . These pendants completely remind me of “Cupids Arrow” and would make such a wonderful valentines day gift for someone special! The diamond arrow contains 1/10 carat total weight of round cut diamonds. 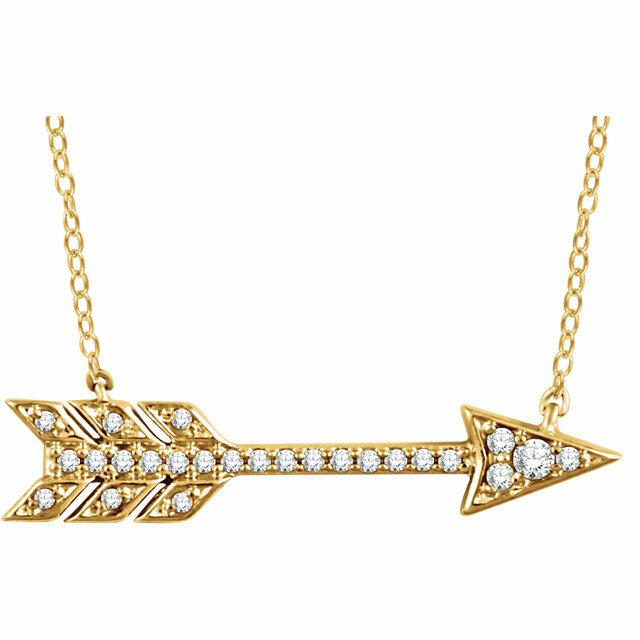 Both of these arrow pendants come with the chain and are available in 14 karat yellow, white and rose (pink) gold. TODAY EVERYONE CHECKS THE TIME ON THEIR SMARTPHONE, BUT IM MY OPINION, THE WATCH, THE TIMEPIECE, THE WRIST CLOCK IS A TIMELESS ACCESSORY THAT CONTINUES TO BE A STAPLE PIECE IN THE FASHION, JEWELRY AND TECHNOLOGY INDUSTRY. ONE OF MY CURRENT FAVORITES IS THIS LADIES ECO-DRIVE BY CITIZEN. 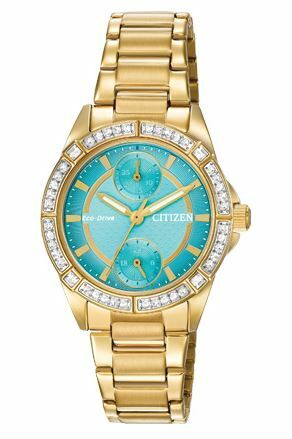 POWERED AND RECHARGED BY NATURAL OR ARTIFICIAL LIGHT, THE WATCH FEATURES A YELLOW GOLD STAINLESS STEAL LINK BRACELET WITH SWAROVSKI CRYSTALS AND A BEAUTIFUL BLUE TURQUOISE FACE. HOW CAN YOU NOT WANT THIS WATCH ON YOUR WRIST!? THERE IS JUST SOMETHING ABOUT ITS CLASSIC LOOK THAT MAKES ME HAVE TO HAVE IT. THIS WATCH IS A PERFECT ACCESSORY FOR A SUNNY SUMMER DAY WHEN YOUR GOING TO THE BEACH OR SPENDING IT OUTSIDE! PERSONALLY I WOULD WEAR THIS WITH WHITE SHORTS, STYLISH SANDALS, A YELLOW GOLD SEQUENCE TOP AND A CROSS BODY BAG, I SUGGEST WHITE! BUT HONESTLY ANYTHING WOULD GO GREAT WITH THIS CITIZEN WATCH!